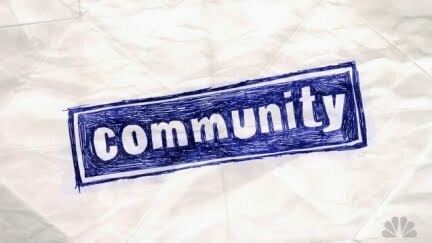 Back of the Head: Community 1x23 - "English as a Second Language"
They really took the piss out of Good Will Hunting. Fantastic. Good Will Hunting's had it coming for 13 years. And shockingly, no one hugged Annie and whispered "It's not your fault!" over and over. The joke of the nature sounds - "And here come the crickets!" - just amazing. It was nice to see Jeff in command of The Group again. "Does anyone know how to study?" I thought the paint gun war would have been the ideal season finale, but there was still work to be done to set up season 2. Anthropology in place of Spanish class. Senor Chang joining them as a student. I also feel the same way about Avatar as Britta and know when to shut up when everyone else in the world voices how much they love it in unison. I would have to say that except for Arrested Development, Community had the best season one of a sitcom I've personally ever seen.